Fans will be treated to historic liveries on a pair of Ford GTs set to do battle in the Rolex 24 at Daytona later this month. 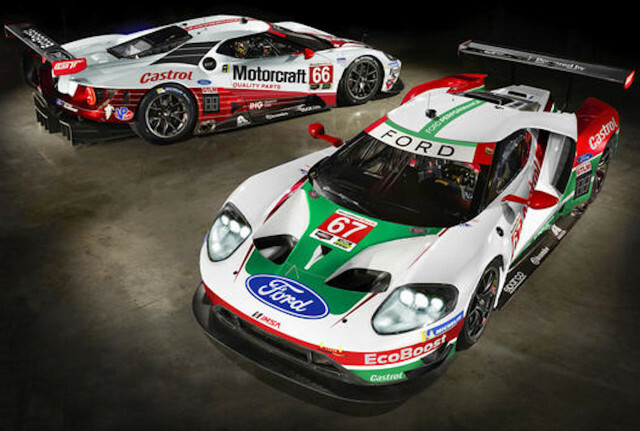 Ford Performance and Ford Chip Ganassi Racing unveiled two throwback liveries for the numbers 66 and 67 GT race cars on Thursday. 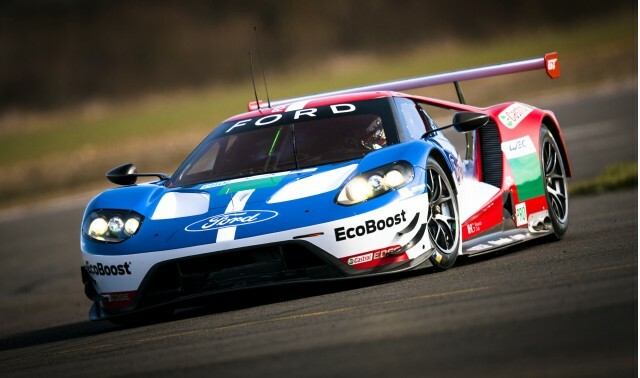 It’s the first time the GT will sport special liveries outside of its traditional red, white, and blue colors. The no. 66 car features the colors from the Roush Racing Motorcraft Ford Mustang, which won the GTO category at the Rolex 24 at Daytona in 1985. John Jones, Wally Dallenbach, Jr., and Doc Bundy drove the Motorcraft Mustang to victory at the 1985 race, and Jones took home the IMSA driver’s championship title in the GTO class that year. The second racer, the no. 67 GT, will sport a throwback tribute to current race team partner, Castrol. The no. 67 car features red and green stripes over a white body with the Castrol Edge logo situated to fit the GT’s body lines. The no. 66 car certainly has more history behind it, especially for Ford, but there’s no denying the no. 67 car has an attractive design. The two GTs will only wear the liveries for the Rolex 24 at Daytona and revert back to their red, white, and blue liveries after the race. Ford Performance and Chip Ganassi Racing said they wanted to help the IMSA series celebrate its 50th anniversary this year with the pair of retro liveries for the 24-hour race. Both race cars look to carry Ford Chip Ganassi Racing to a third-straight podium finish this year, too. The team has won the last two Rolex 24 at Daytona races, and Ford claimed the manufacturer’s championship title after the season-ending Petit Le Mans last year. Chip Ganassi Racing posted five wins during the 12-race season. The throwback liveries will take to the track on Jan. 26 for the Rolex 24 at Daytona.